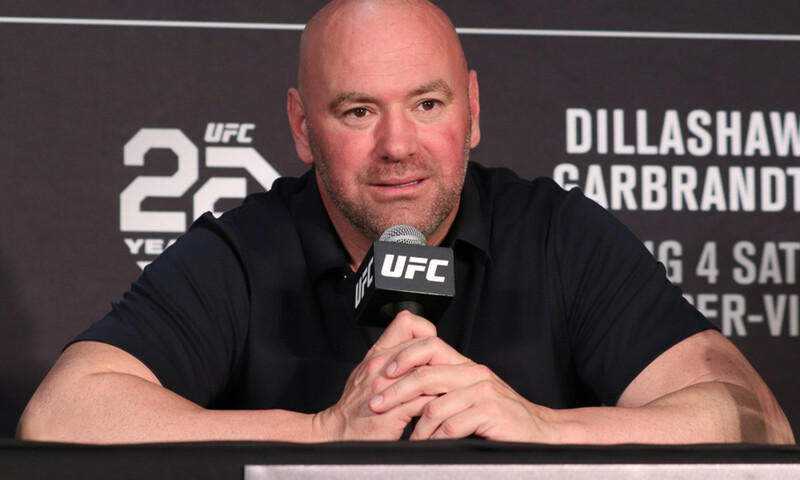 During an interview with TSN's Aaron Bronsteter Thursday, UFC president Dana White said that Rachael Ostovich is "totally cool" with Greg Hardy being on the same January ESPN+ debut card with her. When asked about the controversy that bubbled up Wednesday after Hardy, previously found guilty of two counts of domestic violence, was added to a show with Ostovich, who is recovering from injuries suffered at the hands of her husband, White said that he spoke to Ostovich. He said he walked her through "this situation" and that she said her story isn't Hardy's story, everyone deserves second chances, and that she has no problem with being on the same card. "Having her support was, you know, a key factor in making that decision," White said. She is scheduled to face Paige VanZant while Hardy will make his official UFC debut against Allen Crowder. He said he originally wasn't going to have her fight due to the recent attack, but she gave him "75 reasons" she should be on the card and he agreed. White bristled at a question about whether the two would do media together, saying, "I'm not even thinking of it that way. If you want to make it an issue, make it an issue. Everyone can make it an issue if they want to. Rachael Ostovich doesn't have an issue with it and that's all that matters to me." Ostovich has yet to publicly say anything about the fight.